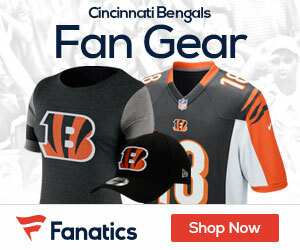 The season of ugly continued for the Bengals on Sunday, as Cardinals cornerback Antrel Rolle recorded three interceptions, 2 returned for touchdowns, in Arizona’s win over the Bengals 35-27 at a shell-shocked Paul Brown Stadium. In the first quarter, both teams scored a TD each; Arizona on Rolle’s first of 3 interceptions, and Cincinnati on a nifty 19-yard pass from quarterback Carson Palmer to wide receiver T.J. Houshmandzadeh, knotting the score at 7. Bengals kicker Shayne Graham would kick 2 field goals in the second quarter, sandwiching a Warner-to-Anquan Boldin 44-yard TD pass, making the score 14-13 Arizona. Another Warner TD pass, this one a 5-yarder to WR Larry Fitzgerald, enabled the Cardinals to take a 21-13 halftime lead. At 12:59 of the 3rd quarter, Arizona RB Edgerrin James would score a TD from 3 yards out, extending the Cards’ lead to 28-13, but Cincinnati would score twice in succesion, once on a Palmer-to-Chris Henry 37-yard TD pass and a blocked punt by the Bengals’ Mike Barr; RB DeDe Dorsey would pick up the ball and return the blocked punt 19 yards for a TD, making the score 28-27. But an untimely interception thrown by Palmer – which was intercepted by Arizona’s Rolle – and returned for a TD, made the score (final score, actually) 35-27 Arizona. Warner led the Cards’ passing attack with a decent outing, going 16-of-28 for 211 yards and 2 TD’s; James led the rushing attack with 52 yards and a score. The aforementioned Fitzgerald led all Arizona receivers with 8 receptions for 93 yards and a TD, while Boldin added 4 catches for 71 yards and a TD. Palmer led Cincinnati with 37-for-52 passing for 329 yards, with 2 TD’s, but 4 interceptions. RB Kenny Watson led the anemic Bengals rushing attack with 9 rushes for 45 yards and 8 catches for 50 yards. The Bengals receivers were led by Houshmandzadeh with 8 catches for 87 yards and a TD; Chad Johnson and Chris Henry also had 8 receptions each, with 86 and 81 yards receiving, respectively. Henry added a TD, as well. Cincinnati (3-7) host the Tennessee Titans, also next Sunday.